Shared with us from an internal communication at EMD Millipore. The Lab Water team is trying electronic direct mail with teeth to communicate with customers. They're using Brainshark. A type of electronic direct mail, a Brainshark presentation combines a short slide presentation with a voice over. 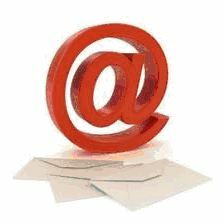 Customers can access the Brainshark through a link that is contained in an e-mail message. Customers can just click on the Play button, and then sit back and watch, making it an effortless way for them to learn about EMD Millipore's products, says Keltoum Benchikh, head of global marketing communication for Lab Water. The Lab Water team has been impressed so far with how the Brainshark tool generates exceptionally high open rates and numerous requests for product information from customers. A recent mailing in Europe, for example, resulted in an open rate of 23.12 percent and a clickthrough rate (CTR) of 6.59 percent, both well above average. Even more impressive just nine hours after the mailing was sent, five requests for quotes on the Elix® Advantage system had already been received. Thanks to this initial success, and the fact that Brainshark presentations contain tracking and reporting tools that will help the EMD Millipore sales and marketing teams understand customer behavior, several additional Brainshark messages are being planned and will be released in the coming weeks.